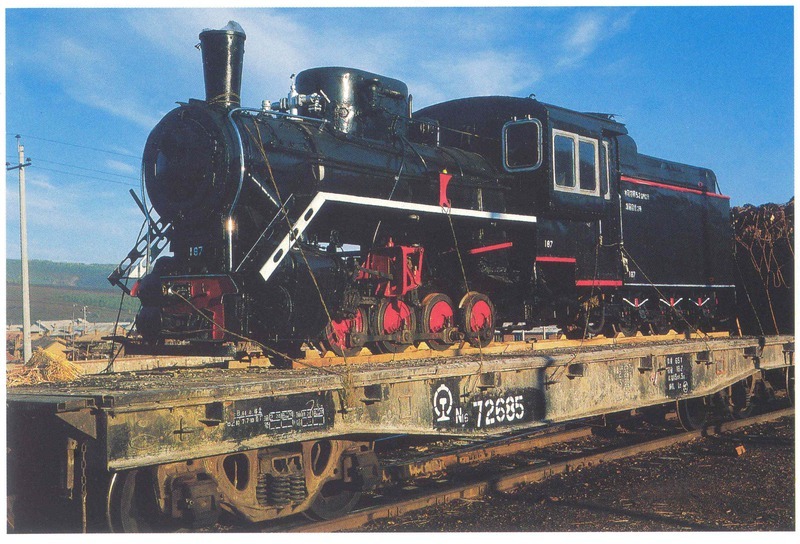 At first glance, all the 28-tonne locos from the first Russian PT-4 to the last Harbin C2 look the same. At a more detailed inspection, I expect every single one was different in some respect. 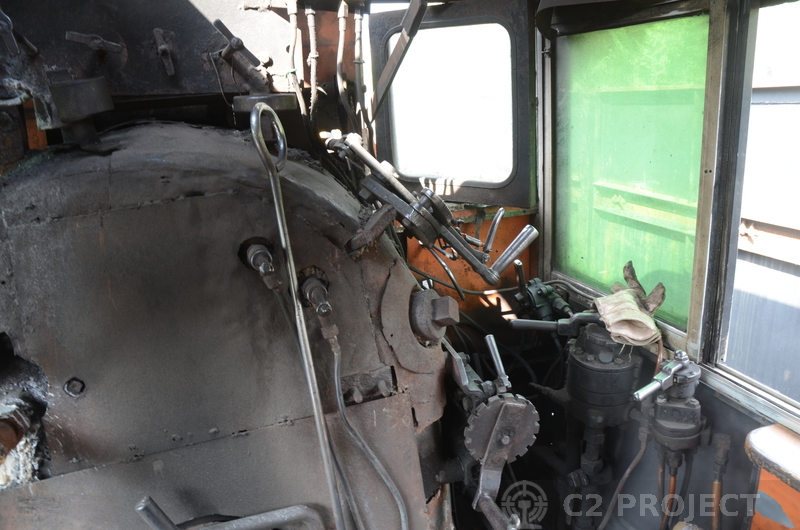 Several variants of cab have been fitted to C2s and their predecessors. 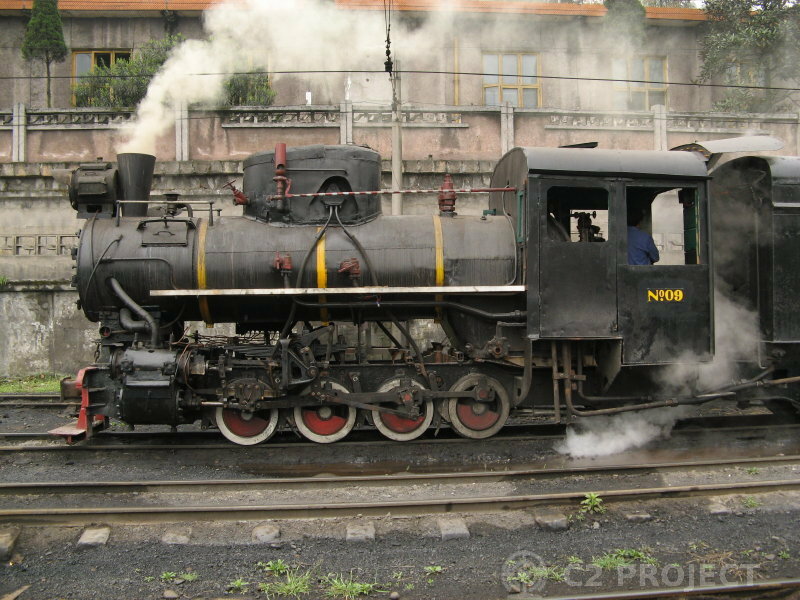 Note that we use 'C2' as an abbreviation for the class of 28-tonne loco in China that sometimes had other designations. 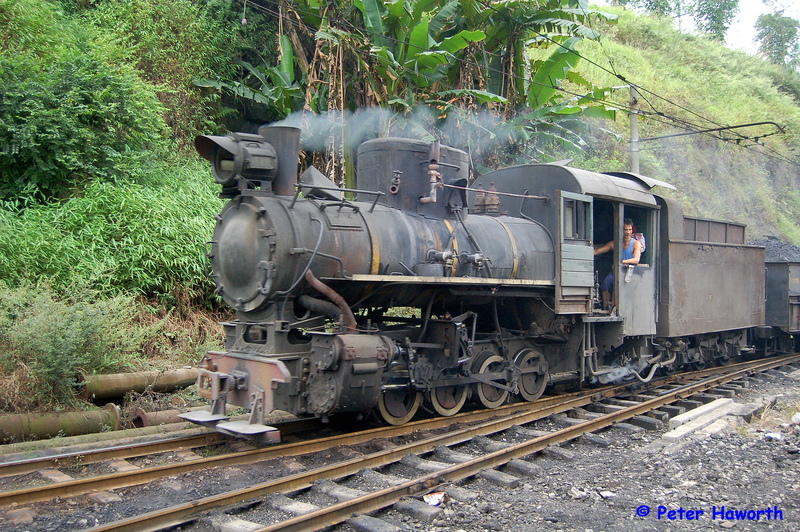 There are two main categories of cab - the short cab and the long cab, as illustrated below. 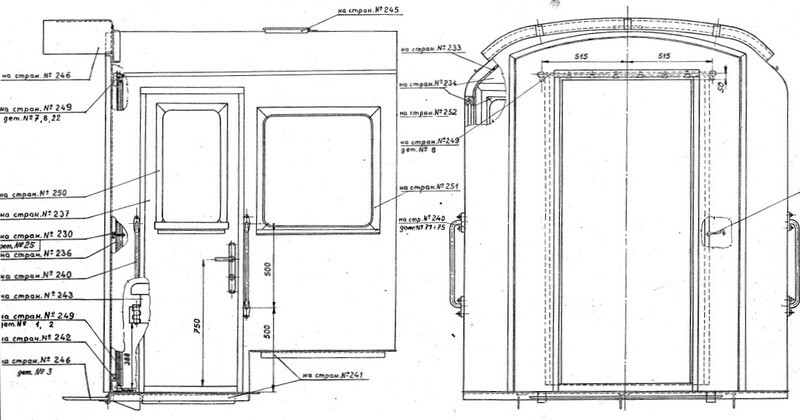 Short cabs are 1700mm long, have two cabside openings (usually one window and one door), and the rear part with the lower floor is 50mm shorter than the front part with the raised floor. 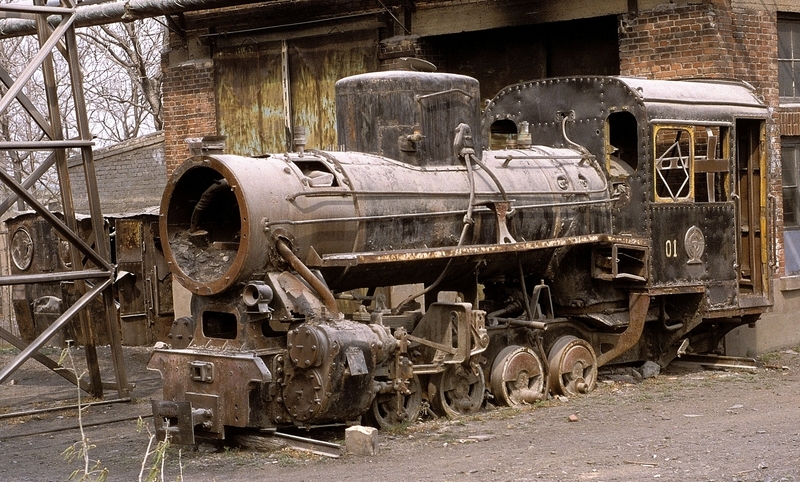 Long cabs are 2000mm long, and the locomotive main frame is also 300mm longer at the rear. The most obvious distinguishing features are that they have two side windows and a door, and that the rear part with the lower floor is 250mm longer than the front part. 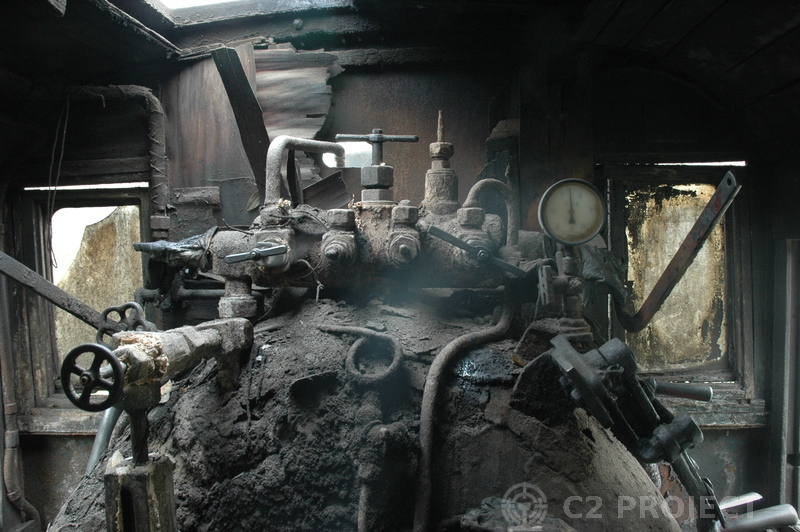 The predecessors of the C2 were built in Russia and Eastern Europe. 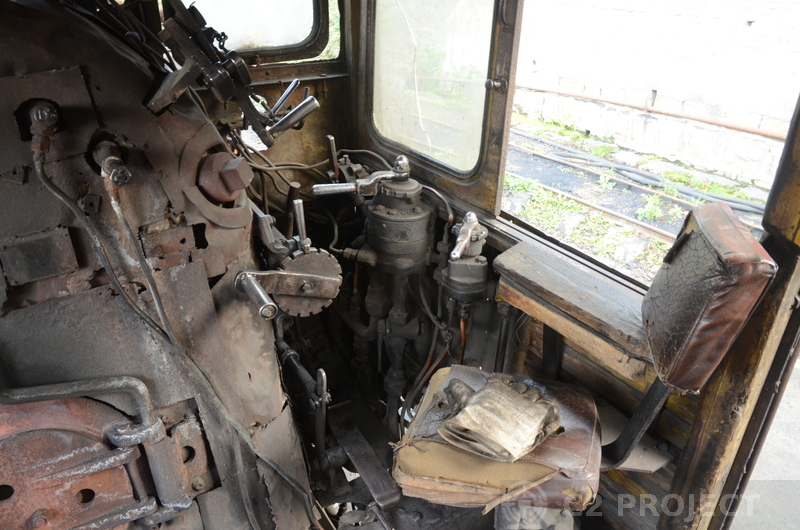 The standard cab design was relatively narrow (1920mm) and short, with one window and one door each side. 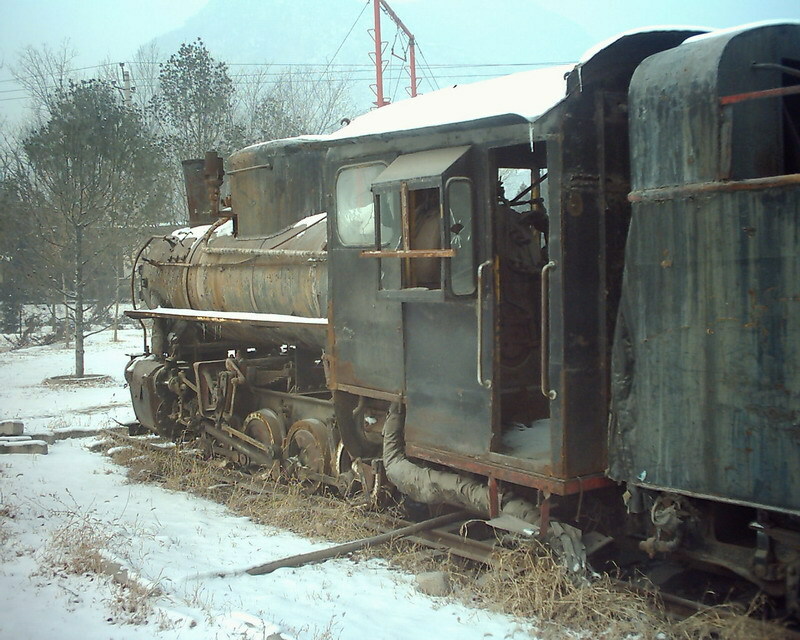 Because they were designed to operate in the freezing Russian (and Chinese) winters, the cab was wooden-framed and double-skinned for insulation, with a thin metal sheet on the outside. 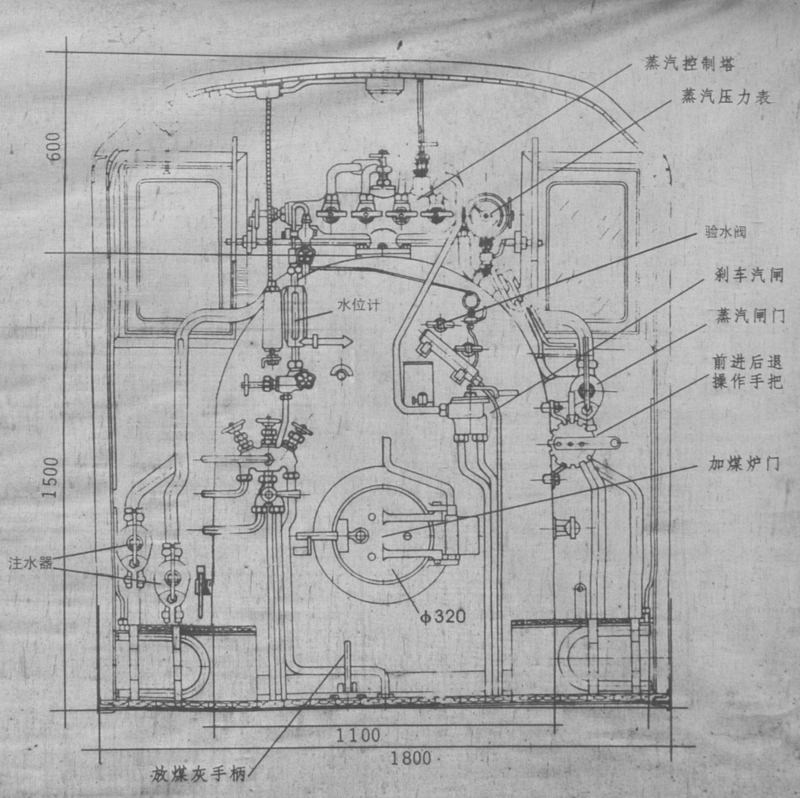 It was totally enclosed with a corridor connection to the tender. 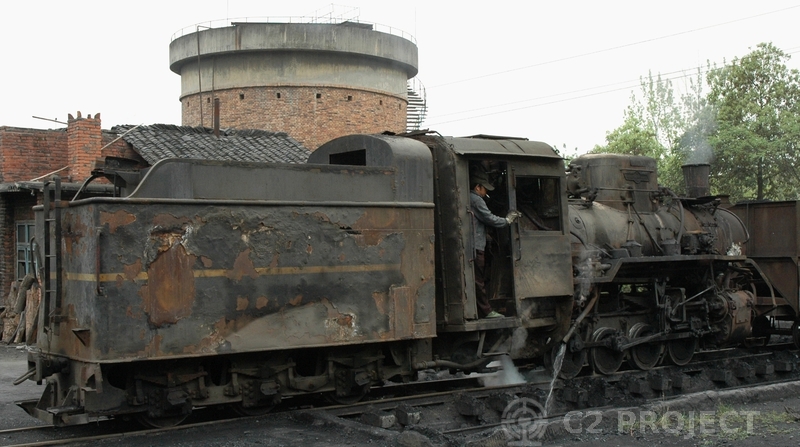 Windows were square-cornered; no windows were fitted in the back of the cab as the rearward view was obscured by the tender. 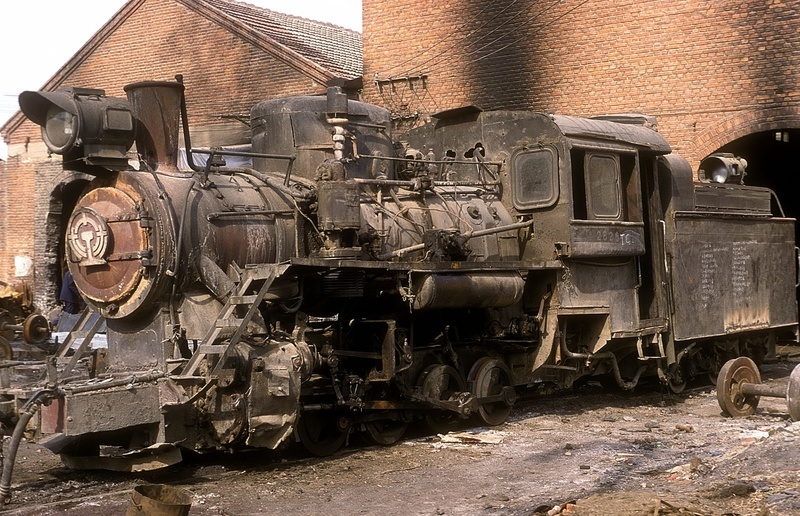 Our Polish drawings show this early cab type, and the KP-4s and others exported to China were of this type. 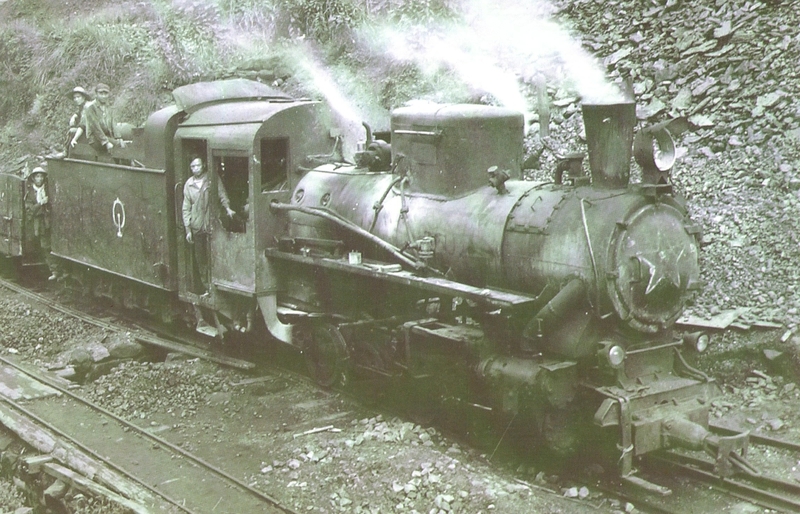 The earlier 28-tonne locos (C2s and equivalent) built in China also had a similar cab. 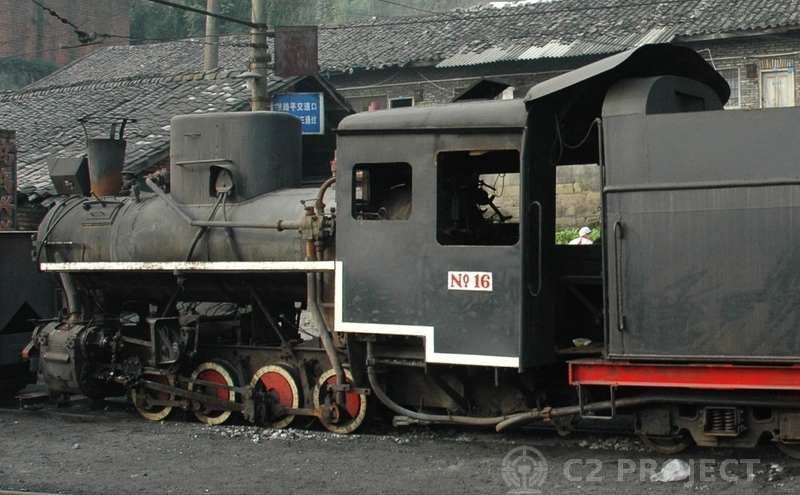 For those C2s operating in the warmer South-West of China, a more open cab was appropriate. 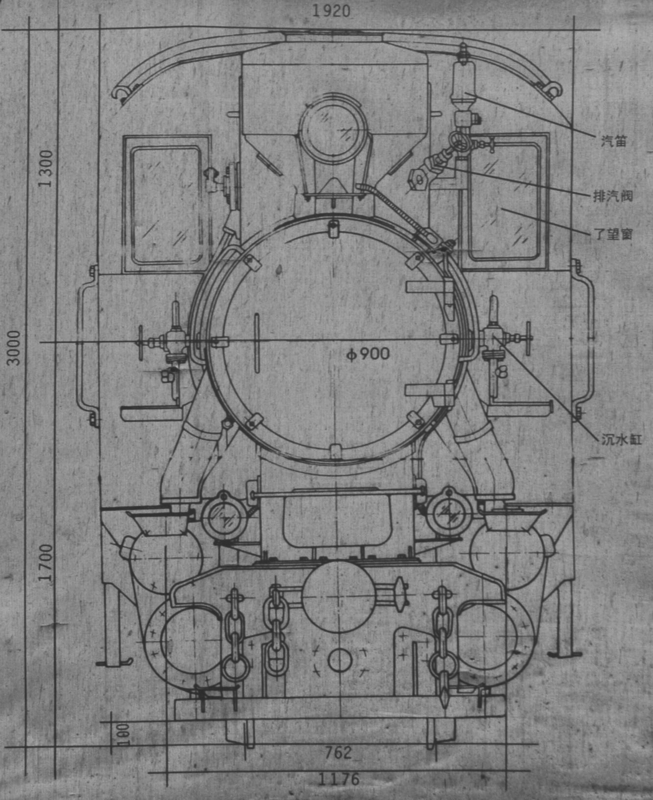 The railways at Pengzhou and Shibanxi used a 'short' cab design very similar in dimensions to the 'Russian Standard', but without a backsheet or corridor connection to the tender. 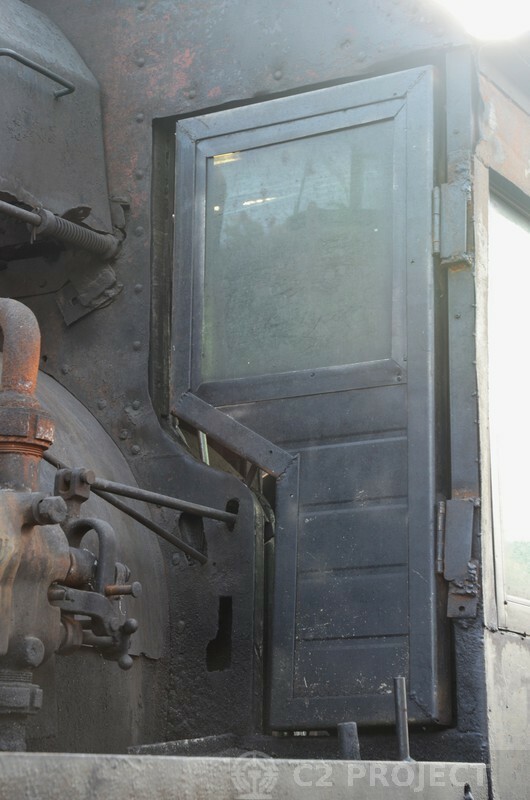 The cab entry is via the gap between cab and tender, so the cabside doors are replaced with a fixed panel with large unglazed opening. 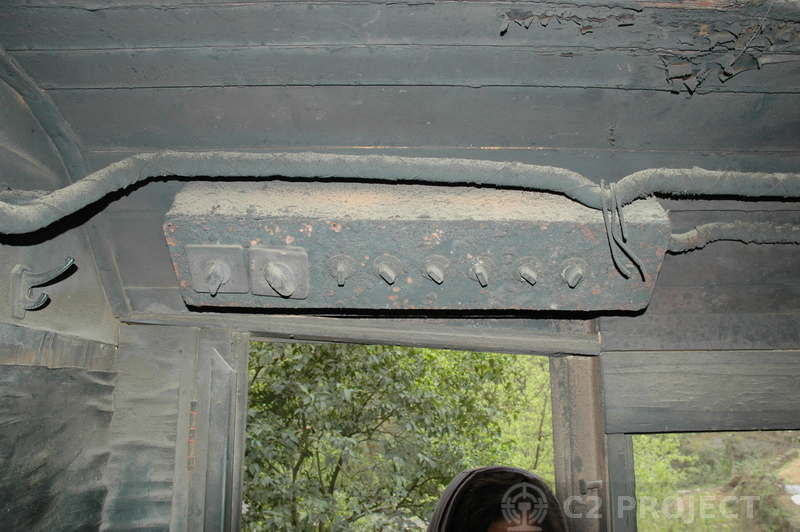 On some examples, the forward part of the cabside is hinged for maintenance accessibility. 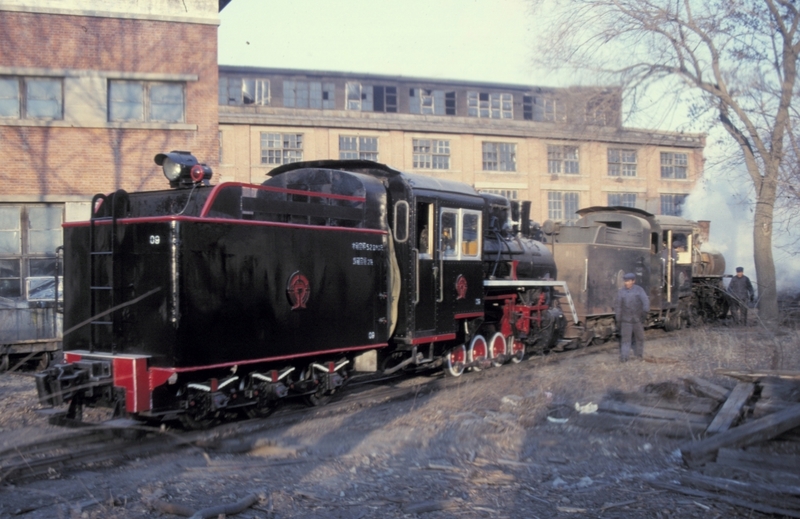 It appears that the Pengzhou locos were rebuilt at the Chengdu Railway Machinery Factory in the 1980s and may have gained their unusual cabs, forward frame extensions and slope-back tenders at that time. 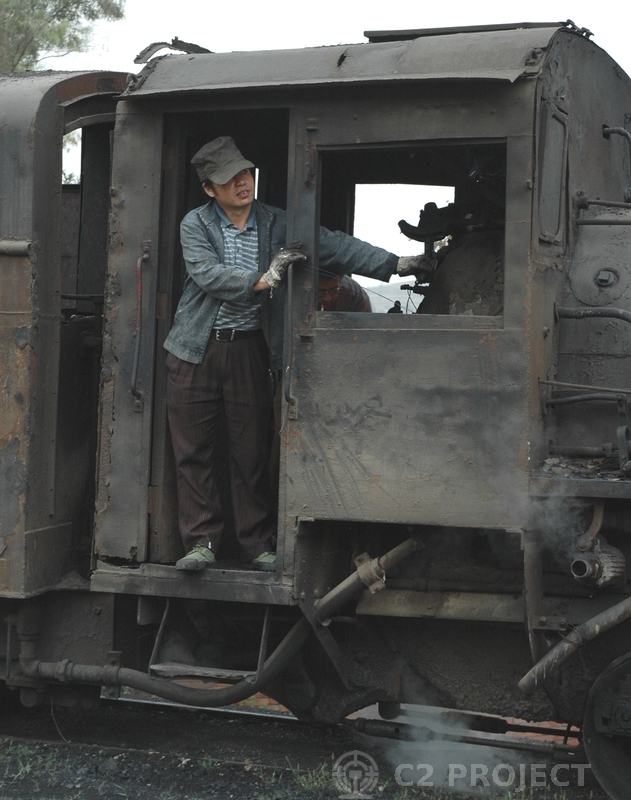 Shixi works on the Shibanxi railway continues to outshop new or heavily rebuilt locos with this type of cab. 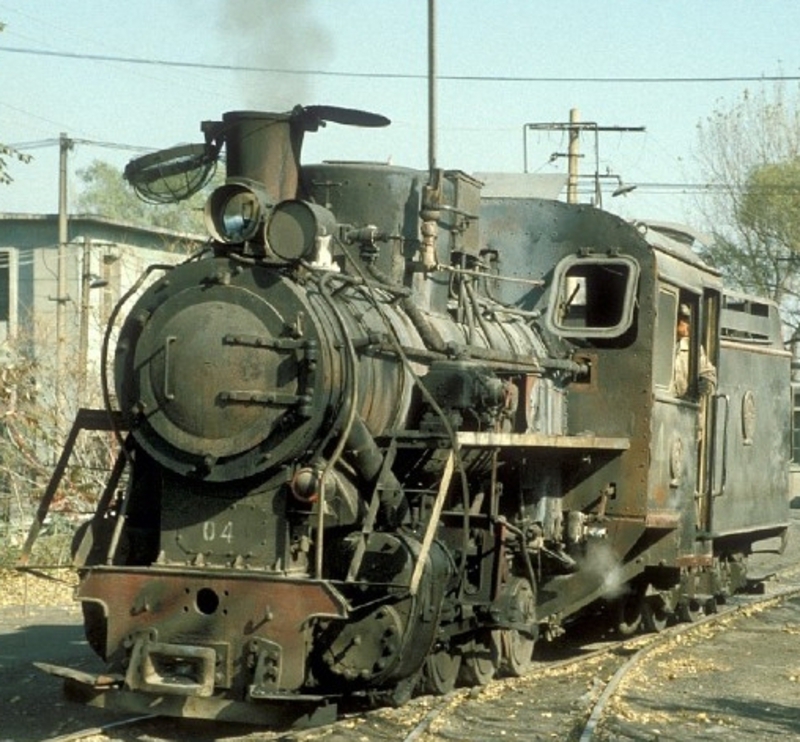 The Ganzhou Forestry Railway in Jianxi Province also had some locos with this cab type. 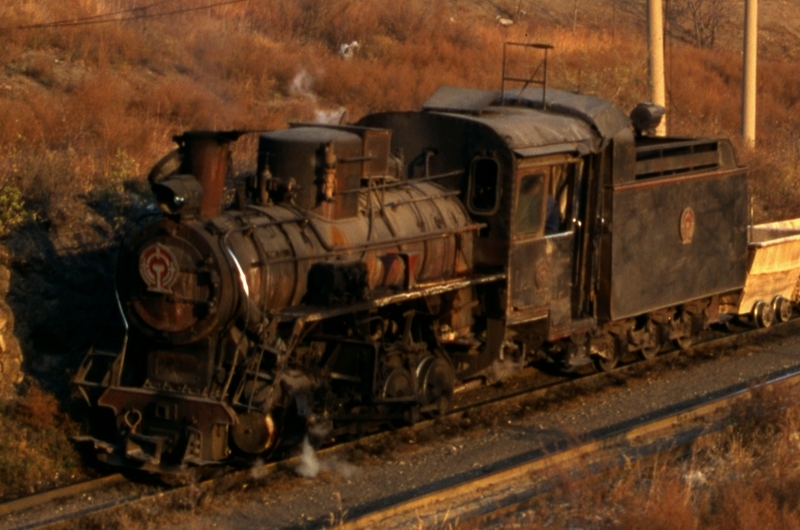 A further variant existed on one loco at Ruyang; this was very similar to the Pengzhou design, but on a long frame and with the cab acess step on the loco rather than the tender. 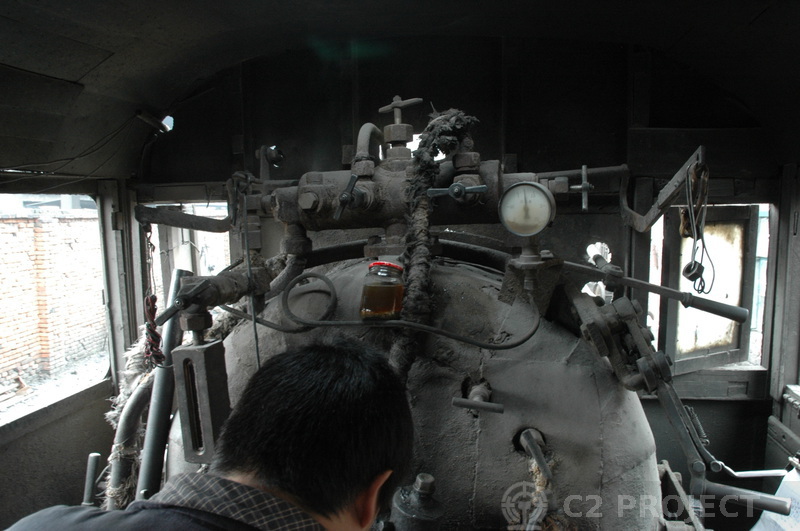 These 'long' cabs represent the type being built at the end of C2 production at Harbin, but may also have been built at Shijuazhang. 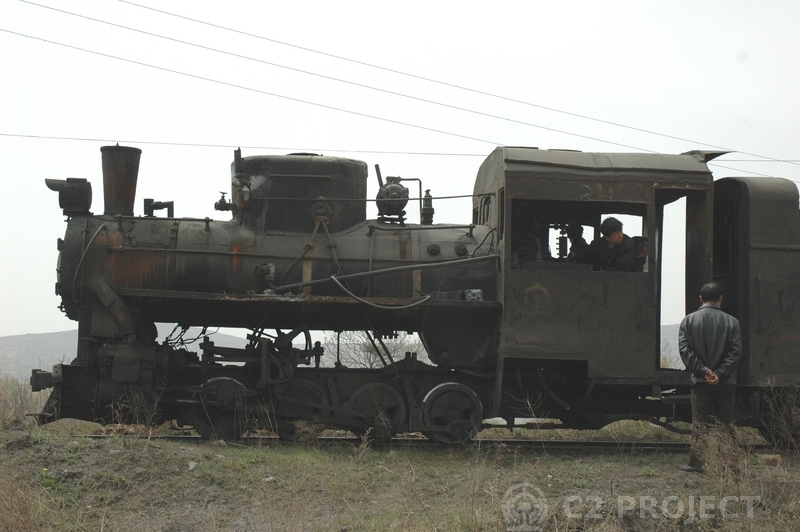 This cab is much larger than the Russian cab, being 280mm wider and 300mm longer. 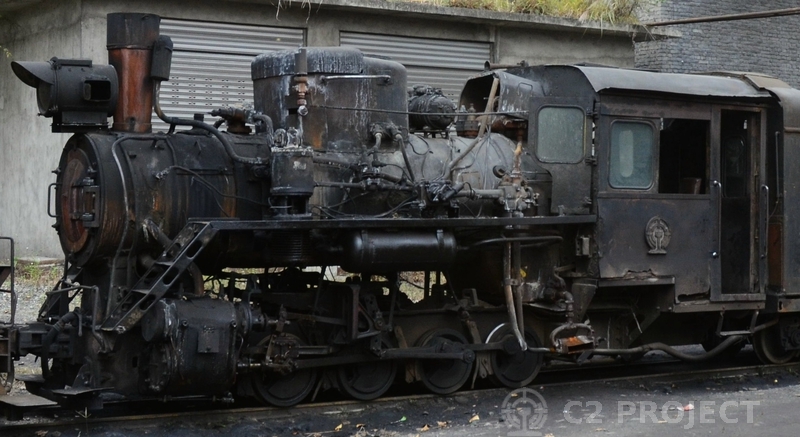 It seems that many earlier 28-tonne locos (C2s and their predecessors) were rebuilt with this type of cab. 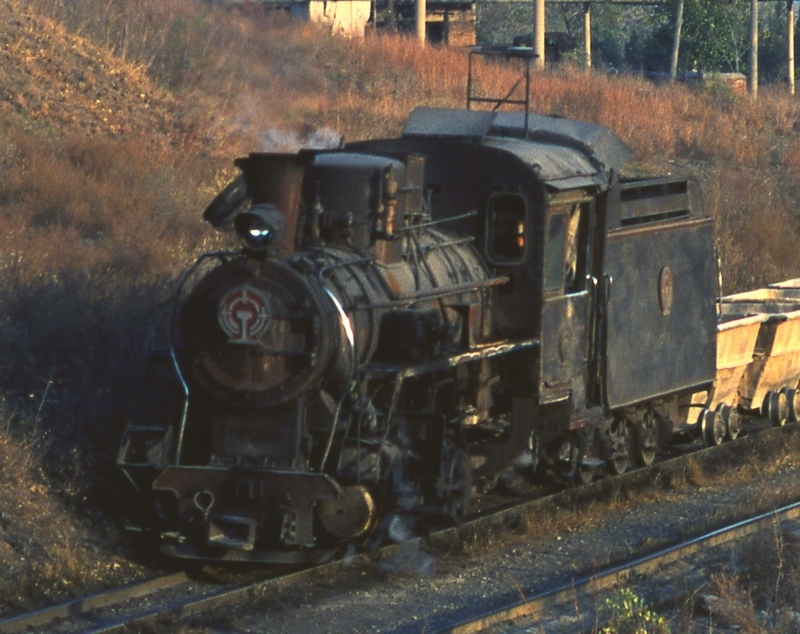 The cab has a steel structure but retains wooden ribs and a double-skinned insulated exterior, and is completely enclosed with a corridor connection to the tender. The windows are mounted in steel frames with rounded corners; the glass is fitted with rubber trims. 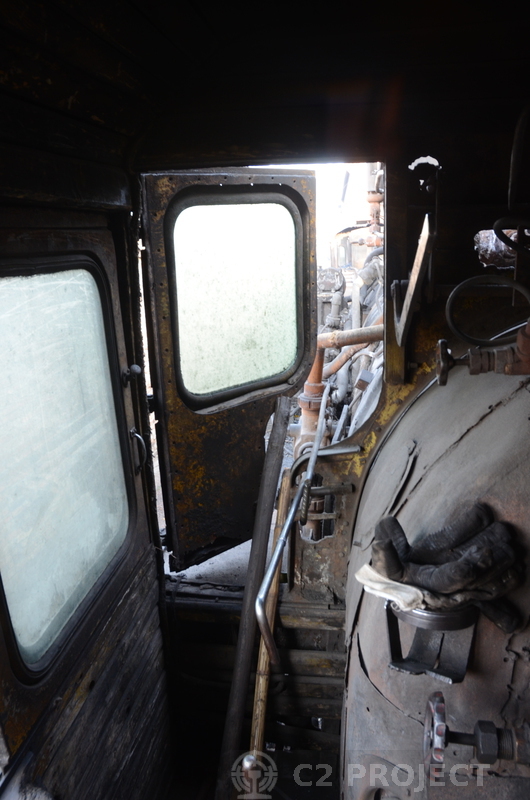 Being much wider, it is possible to see backward past the tender and small windows are provided in the cab back for this purpose. 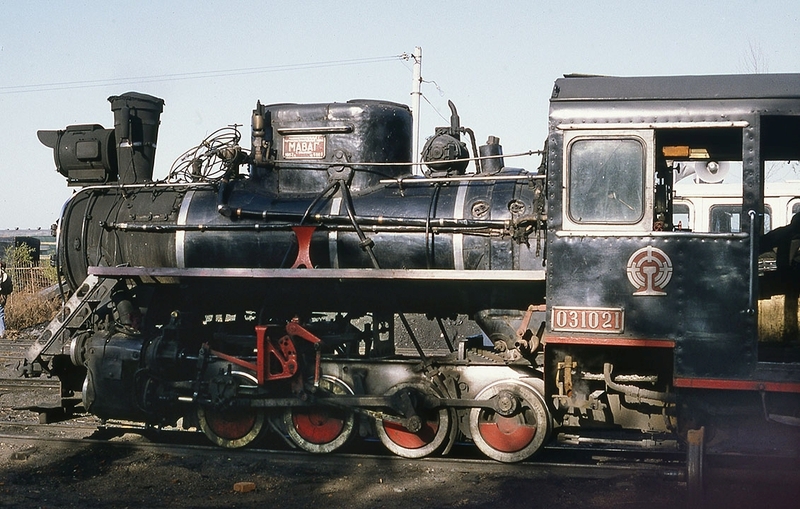 This is the type of cab carried by our Dahuichang #4 (Harbin 221) when we purchased it, though it had previously carried a different style (see below). 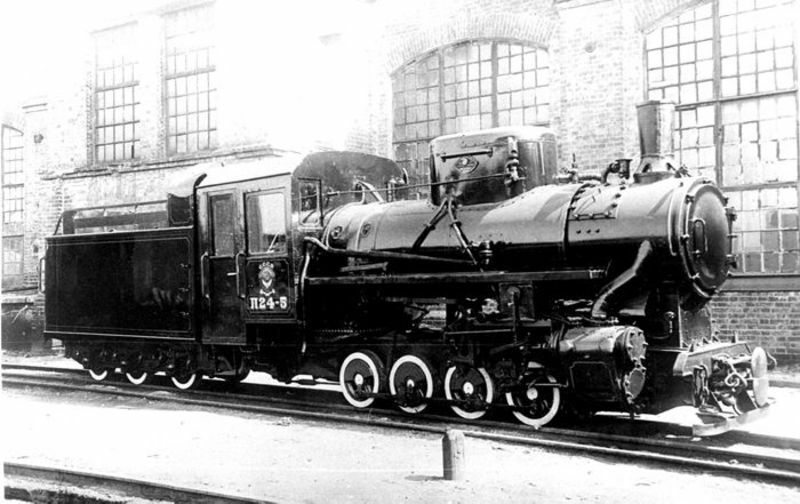 Some locos carried a long cab very much in the style of the Chinese Wide, but narrower and with a profile more like the Russian cab. The front window was in the round-cornered style but much narrower, while no rear window was fitted. 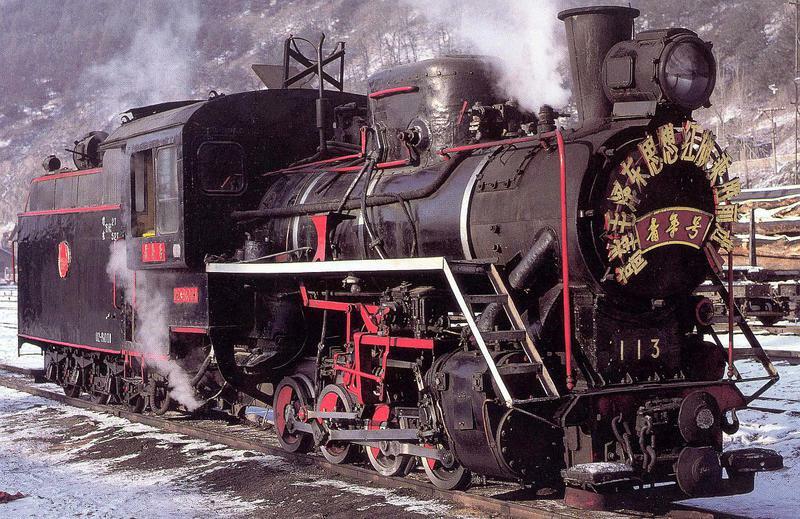 Our loco carried this cab type until 1998, as did Dahuichang '01' - both pictured below. 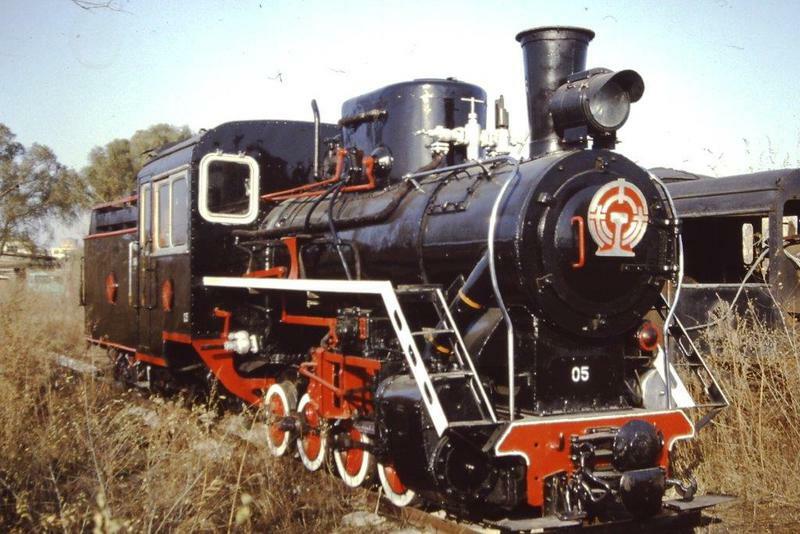 We have found very few photos of locos with this cab type; perhaps it was an intermediate stage of development that was not made for long. So, you want a wide cab, and a narrow cab? 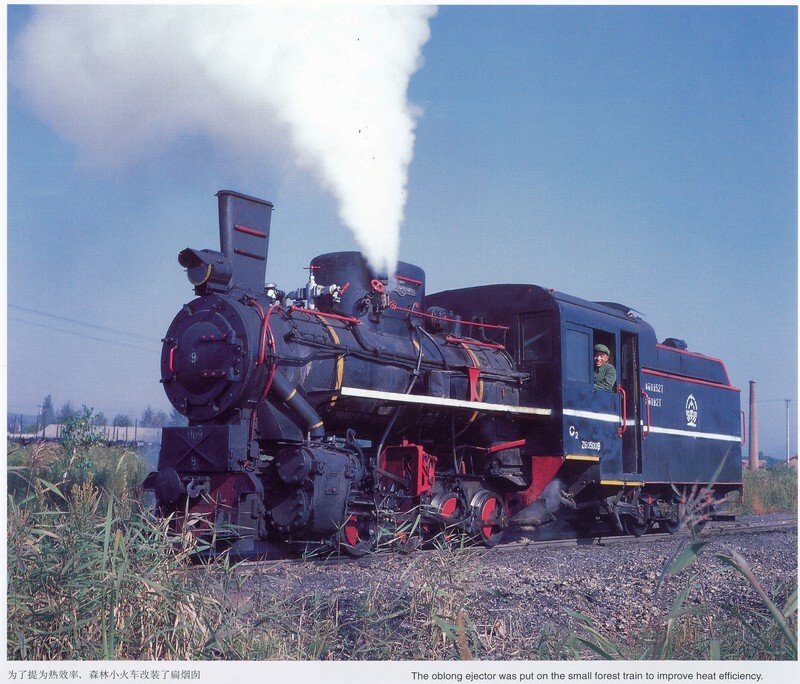 The 'wide above, narrow below' cab shape was used at several railways including Wang-Bai, Lingjiang, Sanchazi, Dashitou, Huangnihe and Kaifeng. Not all were the same shape and some contrasting examples are shown below. 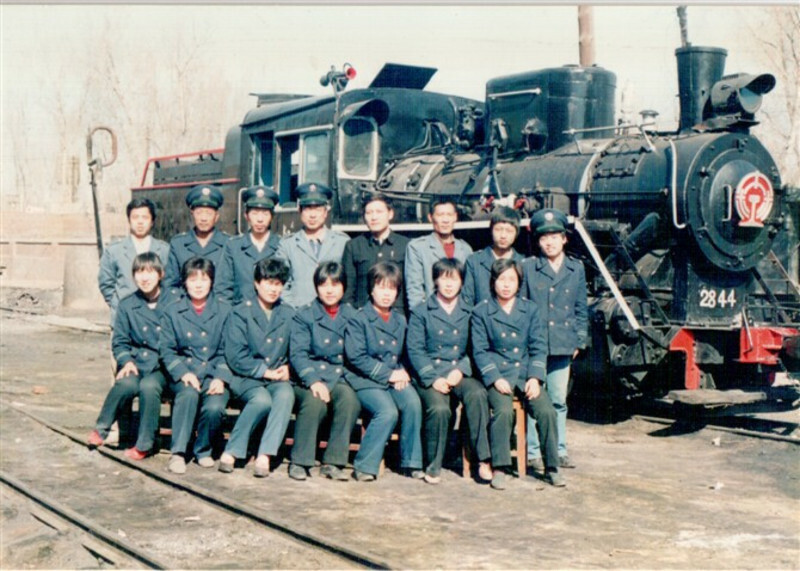 It is likely that this cab type originated at Dunhua works in Jilin Province. The window styling is similar to both the previous types described. 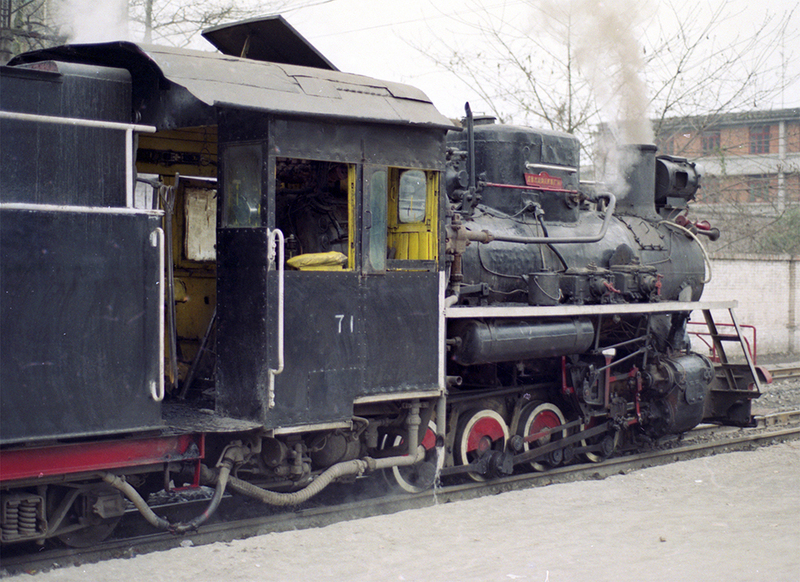 Many C2s carried long cabs of more traditional construction, with square wooden-framed windows. 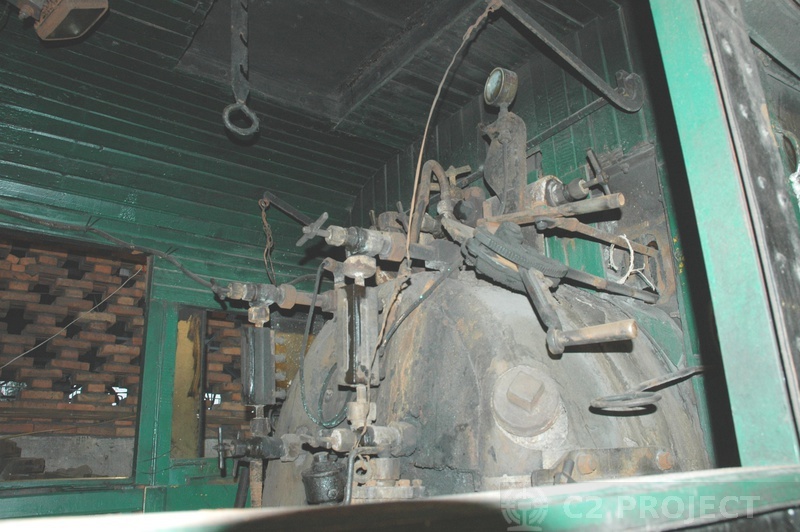 The cab is the only part of our locomotive that is substantially outside the Ffestiniog Railway loading gauge. 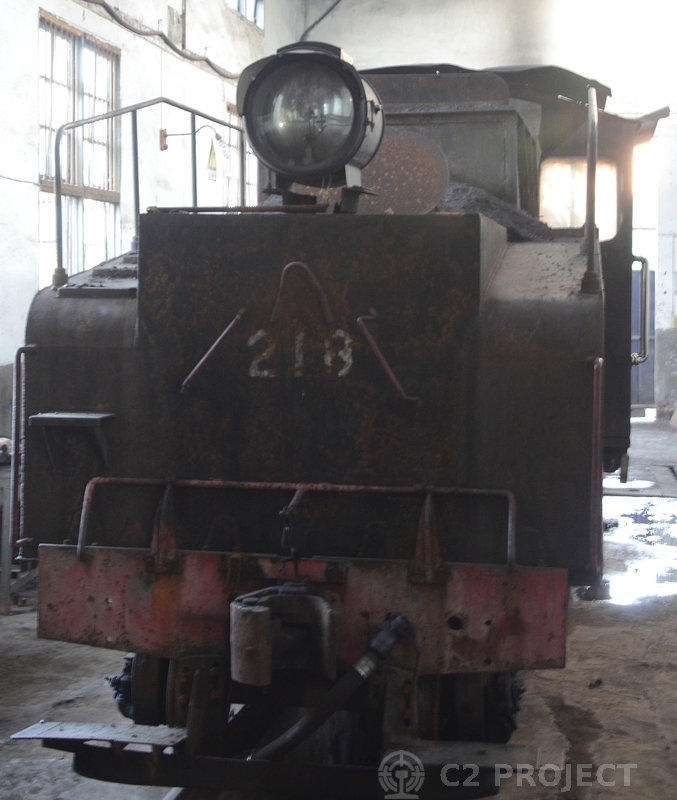 If the loco is to fit, we have to modify the cab shape. 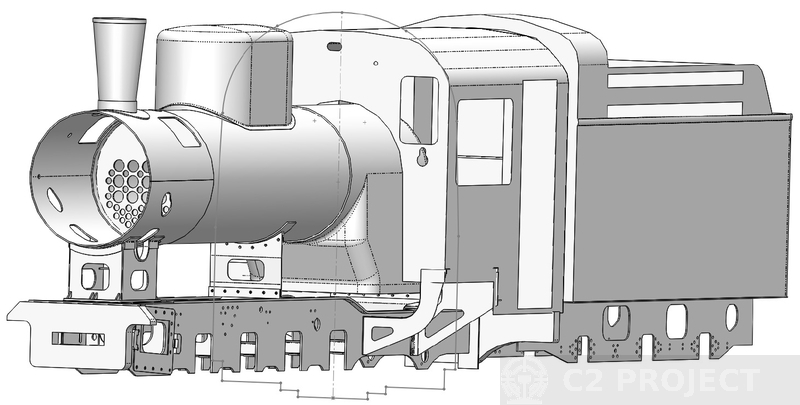 To make the cab fit, our starting point has been the cab cross-section shown in our KP-4 drawings (shown in blue in the drawing below), as this is smaller than the Chinese design (yellow). However, it still doesn't fit! 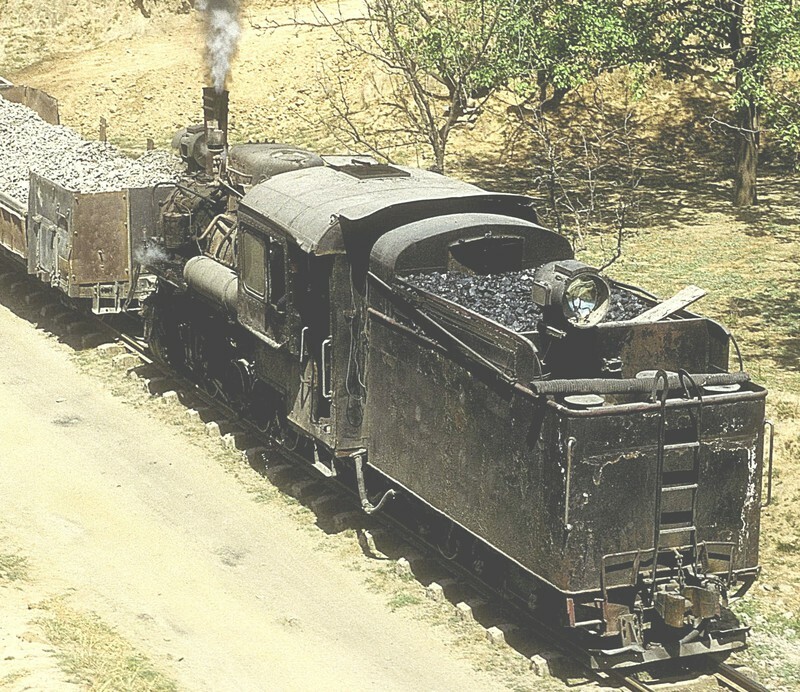 Although the result is a little smaller all round, it retains the characteristic shape of the original cab carried by our loco. We have lowered the back of the frames by 100mm to allow the whole cab to be mounted 100mm lower, whilst maintaining headroom inside. 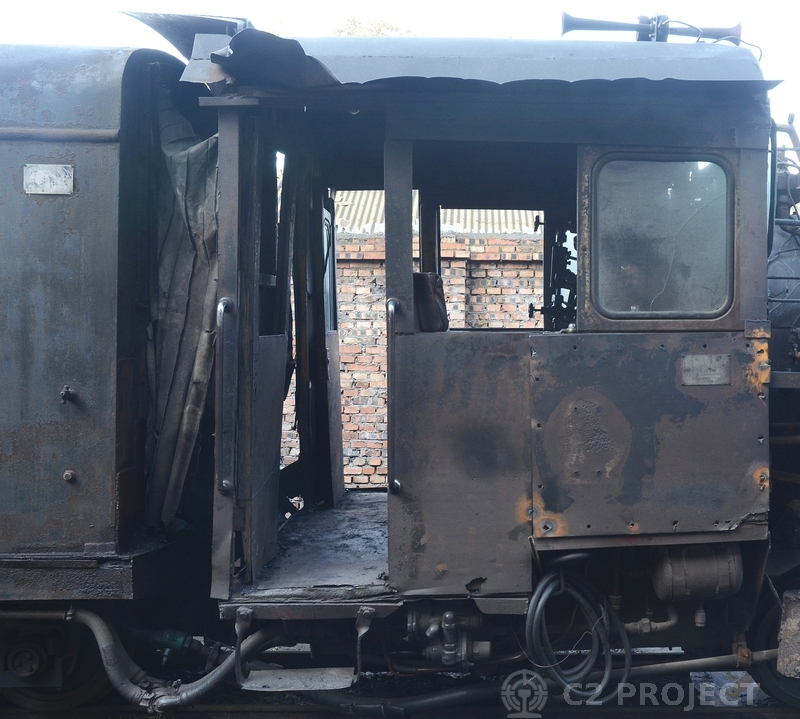 We also intend to narrow the cab by 25mm each side. 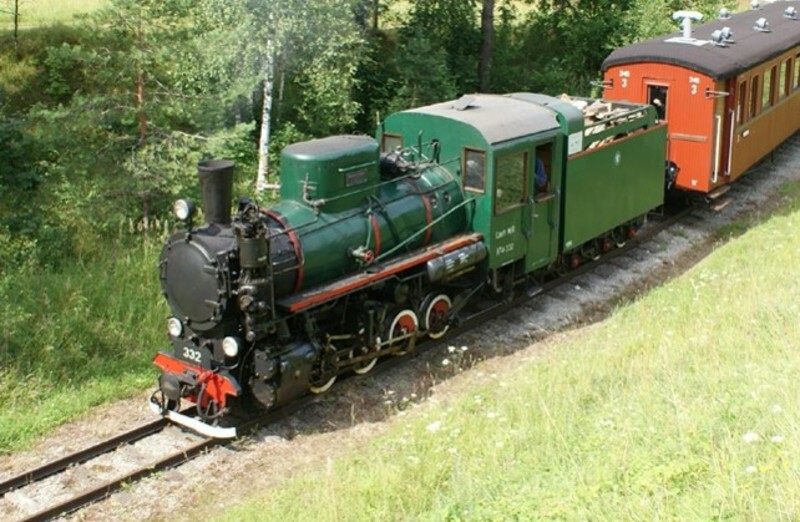 This creates the green profile which brings the top corners within the loading gauge, and provides space for the cabside handrails too. We intend to retain the style of the minor details such as windows, gutters and the roof extension over tender corridor connection. 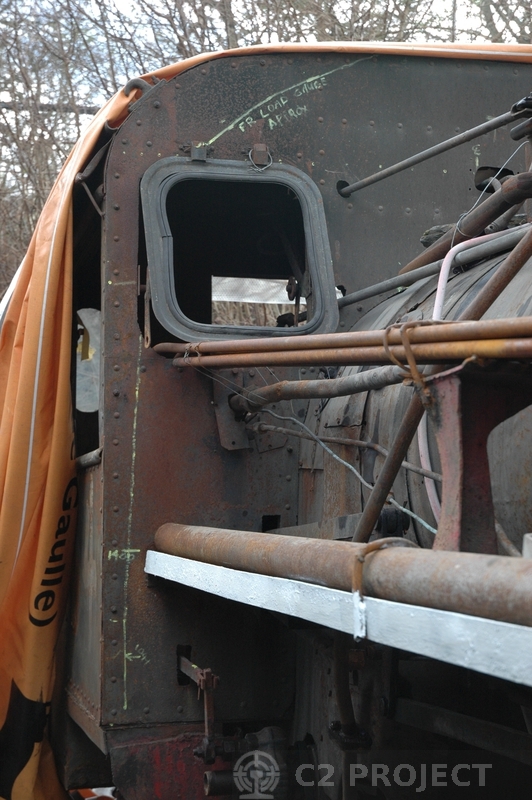 We will add windows in the back of the cab, and modify the tender to provide rearward visibility.